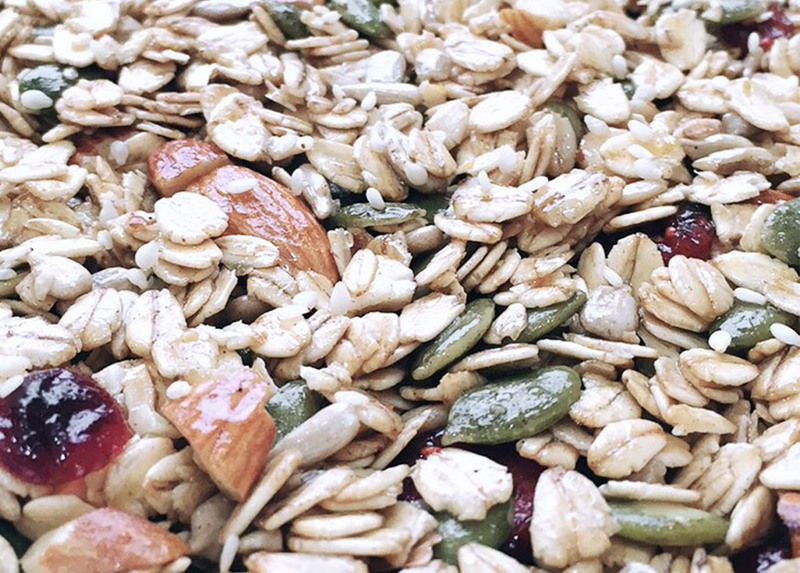 Homemade granola is healthier than most store bought, sugar-packed granolas. This recipe is free from the bad stuff and packed with all good and natural ingredients. Only use raw ingredients (raw nuts + seeds). Roasted nuts will make your granola taste burned. 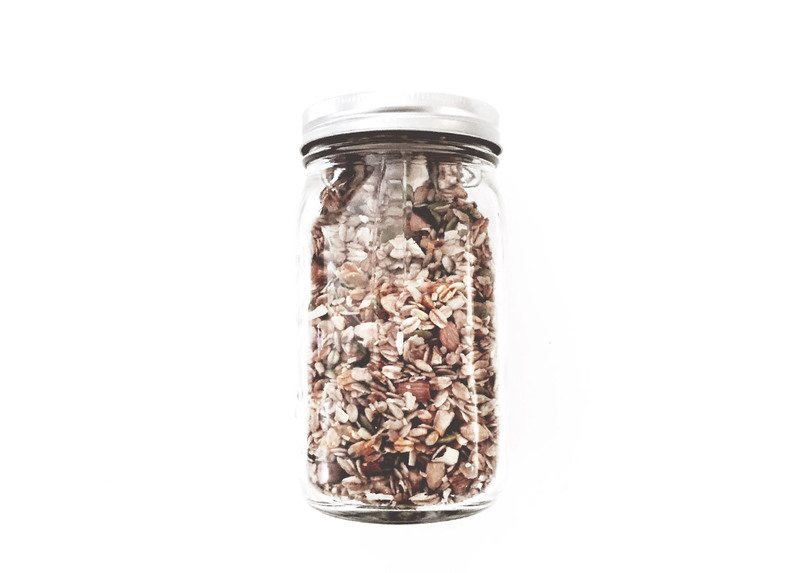 Unrefined coconut oil adds a nice subtle flavor to granola and is a healthy fat. Make it your own! Add any variety of dried fruits, nuts, seeds, spices, coconut flakes and zests. It keeps well stored in a glass jar and makes a great housewarming gift. Preheat the oven to 300°F and set aside 1 rimmed baking sheet. Combine the oats, seeds, nuts, coconut, dried fruits, cinnamon and zest in a large bowl. Heat the honey, coconut oil, and vanilla bean in a small saucepan over low heat, whisk to thoroughly combine, then pour over the oat mixture and stir until everything is well coated. Spread the mixture into a thin layer on the baking sheet. Bake, stirring every 10 minutes, for about 30-40 minutes, until toasty golden brown. Cool completely, then store in an airtight container at room temperature.